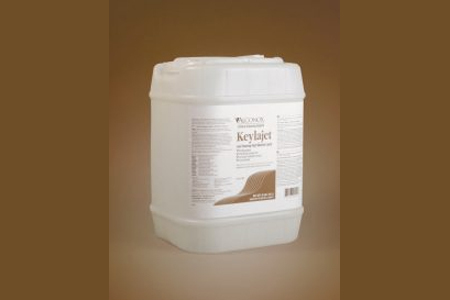 Keylajet is a low-foaming high alkaline liquid designed for hard to clean soils, grit, grime, slime, grease, buffing compounds, oils, particulates, deposits, chemical and solvents, mold releases, metal oxides, and more. Used to clean: Manufacturing equipment, cosmetics residues, injection molds, fouled metal parts in maintenance and repair operations from marinas to automotive to aerospace to oil & gas, such as filters, fins, exchangers, pump heads, engine blocks, exhaust systems, and more; metal castings, forgings and stampings, industrial parts, pipes, tanks and reactors. Use to clean steel prior to passivation. Used to remove: Hard to clean soils, grit, grime, slime, grease, buffing compounds, oils, particulates, deposits, chemical and solvents, mold releases, metal oxides, and much more. Surfaces cleaned: Corrosion inhibited formulation recommended for hard metals, steels, stainless steel, porcelain, ceramic, rigid plastics, cement, and elastomers. Do not use on soft metals such as copper, aluminum, zinc and magnesium. Cleaning method: Soak, spray, brush, sponge, cloth, ultrasonic, flow through clean-in-place, agitation, or automated washing. Please ensure gasket compatibility. Directions: Make a fresh 1% solution (2 1/2 Tbsp. per gal., 1 1/4 oz. per gal. or 10 ml per liter) in warm or hot water. For difficult soils or to remove metal oxides, raise water temperature and use more detergent, up to 10% by volume. Clean by soak, circulate, wipe, spray, or ultrasonic method. RINSE THOROUGHLY—preferably with running water. For critical cleaning, do final or all rinsing in distilled, deionized or purified water. For food contact surfaces, rinse with potable water. Corrosion testing may be advisable for high-carbon steels, and may require rust preventative application post-cleaning.